Can you believe it there’s only a few weeks left of the school holidays! I don’t know about you but I love the holidays and so do our kids. Slow days, skeleton of a routine, catching up with friends and enjoying all the great things about summer. Whilst I will enjoy being able to complete a task without an interruption I will miss having the kids at home and the ability to stay in our PJ’s until dinner if that’s what we want to do. So to make sure that I enjoy every second of the holidays I’ve decided to get ready for school this week so I can enjoy the last weeks of the holidays without a worry. First on the back to school list is replenishing the supplies in the school bag. I always make sure they have a jacket in a bag stashed away for rainy days. If you haven’t seen this jacket in action then check it out here. It’s a lightweight rain jacket which folds in on itself and zips up into a squishy bag. It is by far my favourite addition to the kids bags as it means no thick and sticky rain coats or remembering of umbrellas this jacket in a bag stays in the kids bag all year-long. I’ll also be packing a lightweight jacket in the car for when summer becomes Autumn all too soon and I forget to remind them to pack a jumper. Next is a labelled school hat. My kids use theirs during the holidays as these soft shell bucket hat with crown cord squish into any backpack we take with us. They provide fabulous sun protection and are lightweight and cool, better still they stay on Miss 8’s head no matter what hairdo she has decided to wear. So my task is to pack these away so the kids can’t find them for the next 2 weeks. Getting ready for school means being ready for art and craft although Miss 8 enters primary this year she is hopefully art and craft will continue. My favourite art smock is our waterproof one as it doesn’t show the paint, protects the uniforms and can be washed throughout the year. Finally I’m making sure they continue to use their waterproof library bags as these not only protect the library books but also save me from paying fines thanks to squashed fruit which hasn’t made it to the bin but the bottom of the school bag! I also grab a small make up bag to hold a packet of tissues, a small packet of wipes and the necessary hand sanitiser for when the soap runs out. On the loop I attach a tube of sunscreen on a carabiner clip so there’s no excuses for not putting it on. We’ve hit the transition from velcro to laces this year and whilst Miss 8 has had lots of practice at bows Master 6 isn’t so confident. Miss 8 practised for many year with her keen interest in wrapping presents, it was a great way to practice on larger pieces of ribbon and not shoelaces straight away. With only a few weeks left of the holidays I am determined to help Master 6 accomplish this skill so I set out to research the best way of doing this. Not only did i discover many ways of teaching this skill I also learnt there is a huge variety of ways to achieve the same goal, who knew? 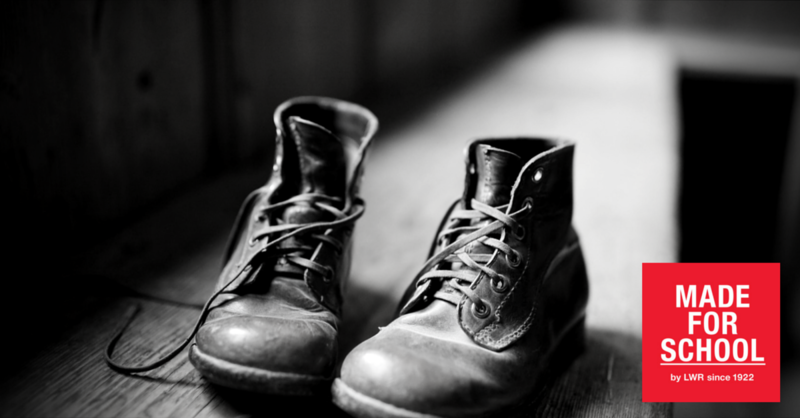 There are poems you can teach the kids to remember the steps for tying laces and then there’s the good old-fashioned way of tying laces like a gift bow. I’m not sure either of these methods will be successful for Master 6 so I’m going to give these magic fingers trick a try. Failing that we’ll be back to double knots to make sure the laces are done up all day long and he’ll continue to remove his shoes effortlessly without undoing the knots! 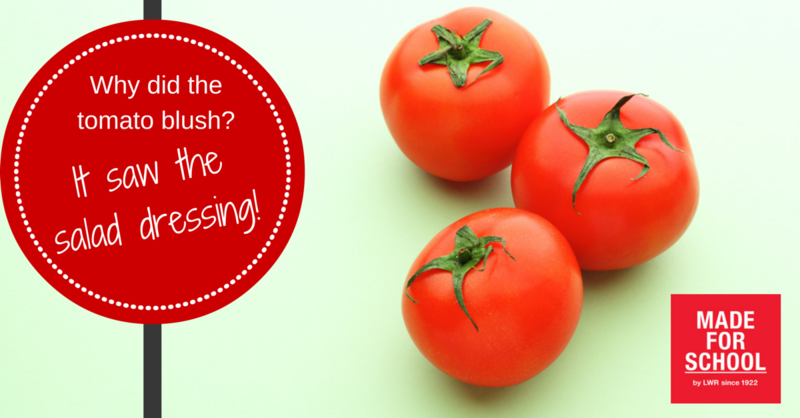 Have you tried any of these methods a try? Which ones have worked in your house? The new school year is just around the corner and busy families and school kids around Australia are soaking up every last minute of fun and relaxation before returning to the school. Lucky for us busy families we can avoid shopping centres with online shopping, oh and did I mention that Made for School are fantastic at getting your kids kitted up? 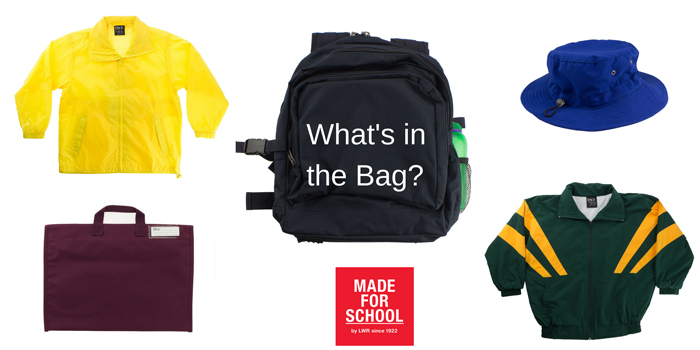 Here at Made for School we’re busy filling orders for people just like you who want nothing more than to enjoy every last minute of the holidays with the kids. So if you’re after school hats, shorts, polos, skorts, school bags, art smocks, school shirts, rain gear and so much more we have a huge range of high quality school uniforms ready to be shipped to your desk or door. Check out our website and if you’ve got any questions shoot them our way and one of our parent pleasers will be happy to help you out. Jump in and lets us wow you and saving you time at the shops and giving you back precious time with your school kids. We’re just at that point in our school holidays where I’m getting geared up for the new school year. We’ve enjoyed Christmas, New Years, time with friends and time relaxing so now I’m beginning to think of how I can make this year a little easier for me by getting organised now. 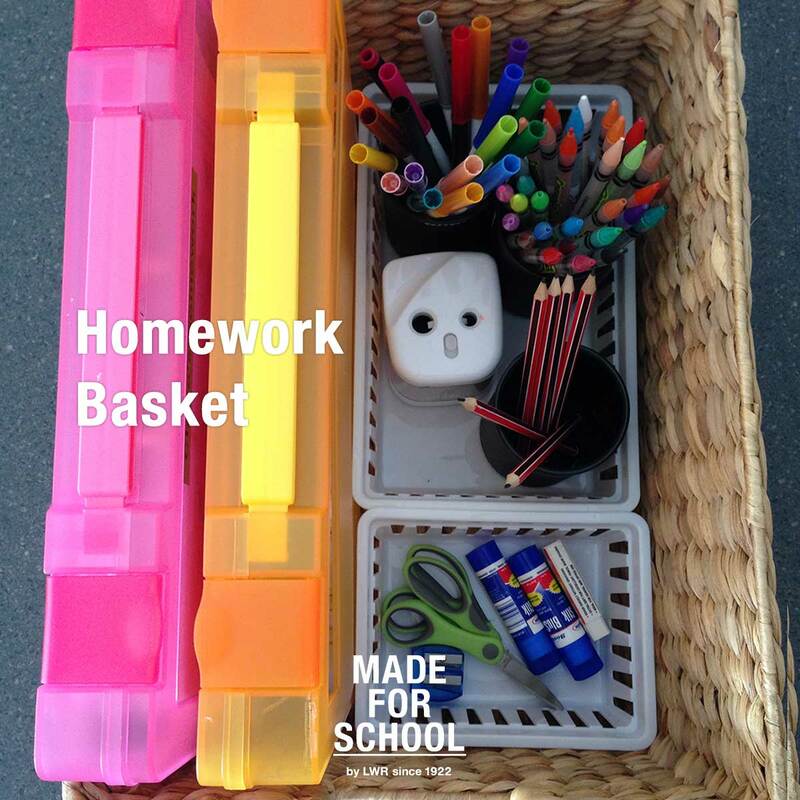 I’ve tried a few approaches to homework and haven’t been that successful so now I’ve set up a homework basket which will live in our cupboard along with the school bags so that the supplies aren’t snaffled into the craft supplies. In the past I’ve had the delay tactics from Miss 7 of the missing pencils, missing homework and everything in between and I’m aiming to avoid any of that this year, especially with Master 5 joining the homework club. My plan is to get home from school, the kids unpack their school bags, library bags and lunch boxes, we’ll enjoy a chat over afternoon tea and then tackle the homework together at the kitchen table so that we can get on with having some fun. I’m not sure how successful I will be but I’m enjoying the look of my homework basket and hope that this may well be the one thing that ensures we are on top of homework this year.